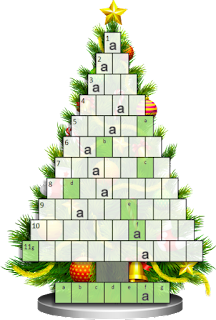 If you need help with the puzzle or if you missed the reference in our Christmas family photo, here is the answer to the puzzle. 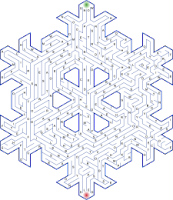 But try to solve it yourself before looking there. 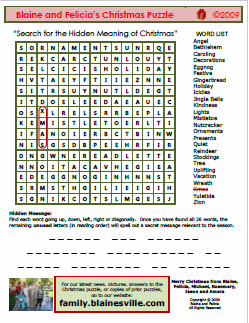 Our annual Christmas puzzle "Power of TEN" is available now. Every answer is a word containing the letters TEN. For example, if the clue were "These keep your hands warm when playing in the snow", the answer would be mittens. 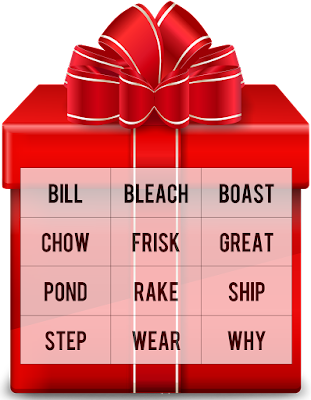 As in prior years, the reward for solving is a video Christmas card, but you'll need to figure out the password by using the first letter of each word. As a hint, the password could be used to describe an occasion such as the new year. Over Memorial Day weekend, the family headed to San Jose and attended "FanimeCon", an annual convention of fans of cosplaying, video games, animation, etc. 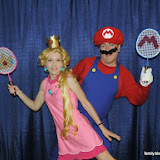 On Saturday, Felicia and I dressed up as Mario and Princess Peach from Mario Tennis. Jason and Amara dressed up as opposing scouts from Team Fortress 2 (TF2). On Sunday, we all dressed up as characters from the Mushroom Kingdom, Mario, Princess Peach, Toad and Toadette. Click on the picture above to see other pictures from the convention. For Jason's 12th Birthday, we went to iFly Indoor Skydiving. It was a blast and we all had fun! Can't wait to try it again. For Amara's 10th Birthday, she chose an Olympics-themed birthday party with various sporting events and party games. The party began with guests entering the "Olympic Village" and decorating their water bottles with markers and stickers. The first events were Synchronized Ping Pong (like "Simon Says") and Basketball-bomb (like "Hot Potato"). That was followed by a Parade of Nations Quiz where the teams tried to match pictures of flags to their respective countries. The rotating events included Candy Matching (like "Memory"), Javelin Throwing and Sailboat Racing. After each guest had a chance to compete in each event, we had the Gold Medal Piñata ceremony. Back inside, as we were grilling hamburgers, we kept the kids busy with our version of Scattergories followed by several rounds of Olympic Events Bingo. Finally, Felicia brought out the homemade Gymnastics cake, with a fondant-wrapped cookie dough mat. For our 14th year of dressing up for Halloween, we chose a theme that is ideal for a group of 4: The Four Seasons. You can see a movie and read more details on our costumes by clicking here. Photos of the Transit of Venus, extremely rare event! To safely view the Transit of Venus, we set up a pair of binoculars and projected the image of the sun onto a flat surface. It was really exciting to see the image of the sun with a tiny black dot which was the planet Venus. A transit of Venus across the Sun takes place when the planet Venus passes directly between the Sun and Earth, becoming visible against (and hence obscuring a small portion of) the solar disk. The event is visible for several hours. This transit of Venus occurred on June 5 in our location and is the last Venus transit of the 21st century. The prior transit took place on June 8, 2004. The previous pair of transits were in December 1874 and December 1882. The next transits of Venus will be in December 2117 and December 2125. Venus transits are historically of great scientific importance as they were used to gain the first realistic estimates of the size of the Solar System. In particular, observations of the 1639 transit, combined with the principle of parallax, provided an estimate of the distance between the Sun and the Earth that was more accurate than any other up to that time. 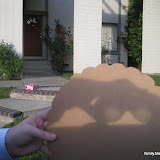 Click on the picture above to see more pictures from our observation of the Transit of Venus. Jason and Amara and a couple friends (Makayla and Samantha) all went to the local outdoor skating rink for some ice skating fun. While they were there, they met up with Amara's classmate, Lucie and her sister Isabelle and her friend Anastasia. Enjoy the video by clicking the play button, or click to view it on YouTube. Christmas Day was started with everyone in their Christmas pajamas. 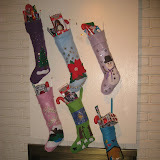 First came the stockings which were overflowing with gifts from "Santa." Then we had a breakfast of homemade banana chocolate chip muffins, omelets, waffles, sausage and scrambled eggs. Next we got the turducken ready for roasting. For anyone that hasn't heard of a turducken it is a deboned turkey, stuffed with a duck and finally a chicken. In between each bird there's a layer of stuffing. This was the first time we ever tried a turducken and it was a fun culinary experience. 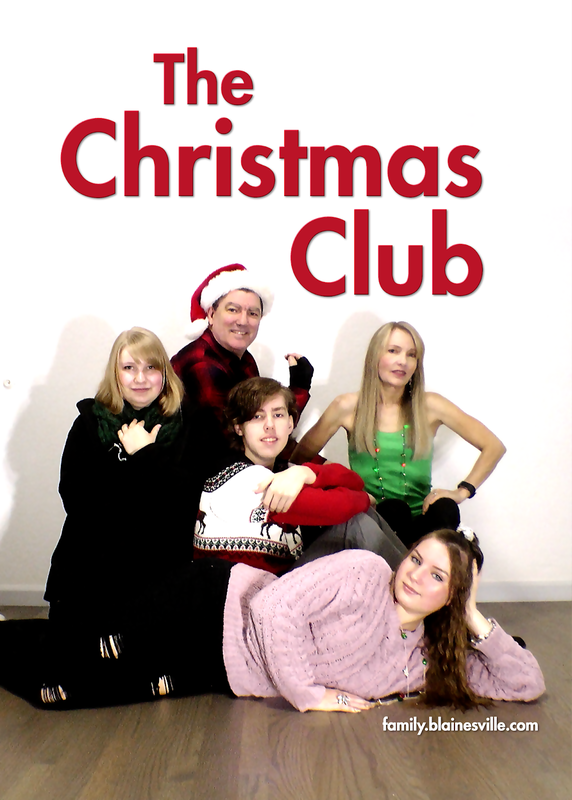 Click on the picture above to view our Christmas photo album. You can also click on the 'Slideshow' button to see the pictures with captions. Click the image to the left to see a smattering of photos we took on Thanksgiving Day. Dinner was at Mum and Dad's house and everyone brought something to enjoy; there was lots of scrumptious food! After dinner we had fun playing games (Blokus, Cribbage and Mille Bornes) and later on Hisae taught us how to fold our paper napkins into origami creations. For our 13th year of dressing in a family theme for Halloween, we chose to dress as Early Explorers of the New World. We entered two local Halloween costume contests and we won first place and second place respectively in the groups and family categories. We had Amara as an "Indian", Jason as a Viking, Blaine as Christopher Columbus and Felicia as an English colonist. Michael and Rosemary opted to "do their own thing" this year, so Michael dressed as "The Creep" from the Lonely Island music video of the same name, while Rosemary dressed as Princess Zelda from the Ocarina of Time. Click the photo above to see a slideshow and other details on our costumes. This is the second year that Alpine Meadows Ski Resort has opened up a tubing area called "Tubeville" just beyond the lodge. The tubing course consists of two steep, long lanes, each with a couple humps and a big half-pipe at the end. There's a moving "magic carpet" escalator to get you to the top of the hill and then a quick, fast ride down to the bottom. We had fun racing each other, spinning, performing running starts, riding backwards, etc. And when you got up some good speed, you might find yourself getting some air at the bottom of the run then doing a 180°. It was a lot of fun! Don't forget to check out the patent-pending "Dad Cam" views in this video. It's that time of year when the 4th graders have to create a "Mission Project" (either a photo collage, video or model) of one of the 21 California Missions. Jason chose to build a model of the Santa Ines Mission which is near Santa Barbara, the 19th one built. He found a survey map and a view of the front and used that to layout the model. His tip to others working on their Mission Project? Do a little bit each weekend or night so you don't get overwhelmed on the last day. The model was made by first drawing a floorplan of the mission in the desired size. The size was chosen based on some cute horse figures that were found at the hobby store. That was also where we purchased the trees (train model supplies) and the lichen (for the bushes). The model is made with illustration board, cut with an X-acto knife. The crosses and fences were made with rectangular dowel rods (balsa wood) which were glued with hot glue and painted. Jason used a mixture of red and orange paint to get the tile roof color and an off-white for the walls. This is easier to do if you paint the models before they are all glued together. It also makes it less likely you'll get paint in the wrong places. To finish it up, he used a label maker to add the name of the mission and his name. And we also glued down a picture of the Santa Ines Mission just to show a comparison between the actual mission and the model. Our Halloween Costumes (Chess Pieces) won First Place! As part of our annual Halloween tradition, we come up with a family theme for our costumes. This year we went as Chess Pieces. We entered two local Halloween costume contests and we won first place in group/family for both. Felicia came up with our theme this year. It started when Michael suggested he wanted to be a knight. After tossing around ideas like "royalty" or "knights of the round table", Felicia noted that the knight is one of 6 different chess pieces. It was a perfect match! All clothing (apart from my pants/shirt/vest) was sewn by Felicia. The King's costume had a lined robe made of panne and a faux-fur shoulder piece. I strung the livery chain and medalion and constructed the crown. For Rosemary's Queen costume, both the dress and the robe were sewn by Felicia and I made and decorated the crown. For Michael's Knight costume, Felicia made the faux-chainmail hood and sleeves. The tunic and the pants were made out of a soft-faux-leather material. The helmet, shield and sword were painted to match, and then I embellished the shield with the chessboard pattern and the chess piece emblem. Felicia sewed all her Bishop's vestments which included the velvet robe, the white cotton alb, the rope cincture, the stole and the decorated black chausable. I made and decorated the bishop's mitre. For Jason's Rook piece, the structure was made using embroidery hoops, poster and illustration board, a "pleather" material for the brick, and glitter paint for the grout. Finally, Felicia did all the sewing for Amara's Pawn dress and a Juliet cap. The bottom of the dress had a hoop made out of plastic tubing sewn into the hem to give the fullness. Once again, Felicia deserves all the credit for her weeks of sewing and I'll take credit for the construction, painting and decorating. Oh, and did you notice the chessboard trick or treat bags? Felicia sewed those too. Each of us had a bag with our corresponding chess piece. I think that helped people figure out the theme. Tanya came out to visit with the twins, Sydney and Sara. Obviously the kids had a great time playing with their cousins in the pool with lots of jumping, splashing, spinning and other water fun. I put together a short video entitled Swimming Fun with Sydney and Sara. Enjoy! Production Notes: I used our waterproof camera to get shots of people in the pool and jumping into the water. Most of the editing was done in the latest version of Windows Live Movie Maker, but I had to use Sony Vegas for a couple "special effects". I think you'll know which ones once you see the video. Rosemary's French Commercial, Le Baton! Rosemary, along with her classmates Will and J.P., came up with the following French commercial as part of a French class assignment. They had to create a commercial for a product and tout the positive uses (along with things to avoid). This was filmed over a weekend and then edited together with sound effects, titles, etc. So have you heard about this new useful product that everyone should have? If not, be sure to watch the commercial so you too can have one. Everyone should go out now and buy Le Baton!. As part of Teacher Appreciation week at school, Jason's 3rd Grade class made a video thank you letter for their teacher, Mr. Fisher. Take a look at their Video Thank You Letter to Mr. Fisher. 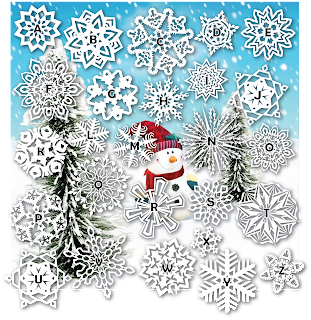 Each Christmas we pick a fun craft to do with the kids. This year we made little felt mice with candy cane tails and handed them out to family, friends and classmates. On Christmas Eve, Blaine sang with the church choir and Felicia played violin. Christmas Day was the usual fun of opening stockings, having breakfast, opening gifts, playing games, eating a scrumptious Christmas dinner, etc. Click the link for our Christmas 2009 slideshow. If the slideshow doesn't start automatically, click the 'Slideshow' button in the upper left. For Thanksgiving, we had a fun time making hors d'oeuvres for Thanksgiving dinner. My favorites were the "Bacon Hugs" which were figs stuffed with water chestnuts and wrapped in bacon. 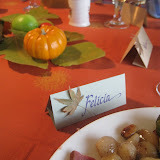 If you'd like to see the photos, click the link to our Thanksgiving 2009 Photo Album. If it doesn't automatically start as a slideshow, click the "Slideshow" button. Diablo Magazine votes our Halloween Costumes "Most Original"
Each year our family comes up with a different "family theme" for our costumes. This year we chose to dress as Wonders of the Ancient World. In our local costume contest contest and parade, we were winners in the group category. In addition, when we submitted our photo to Diablo Magazine's costume contest we won an award for "Most Original"